I make a lot of Mexican food…. so what. It’s delicious. 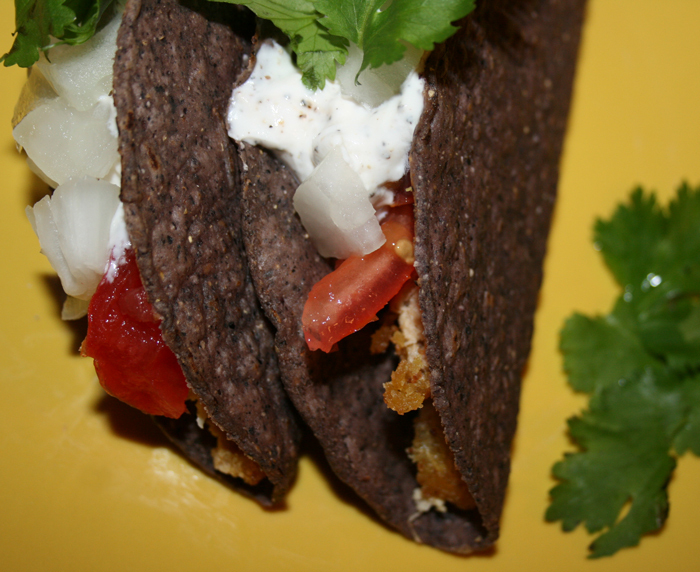 If you crave the taste of fish tacos from your youth, then go with these. If not, we’ve got a chickpea version for you that’s just as awesome. Heat up your “fish” in the oven for about 10 min, and dice into strips. Warm tacos in oven for about half that time. Layer your taco with fish first, then tomatoes. 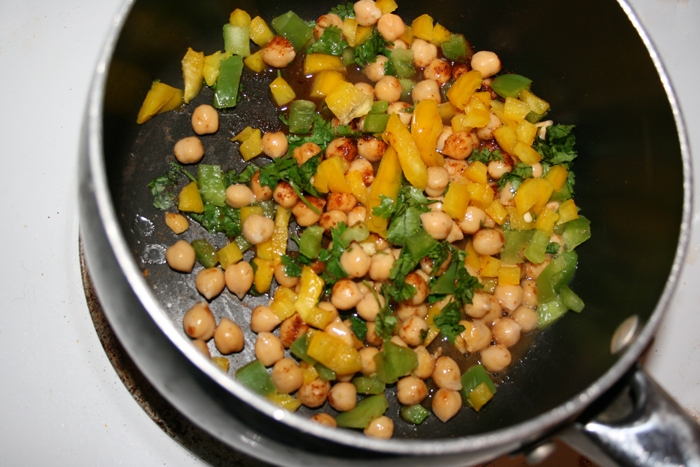 Mix Veganaise and pepper (to taste), and layer that on. Then add your chopped onions and cilantro. Take a bite. Mmmmm. 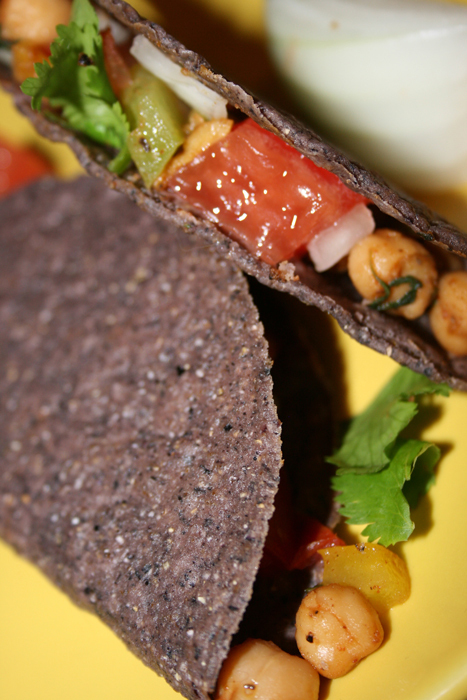 If those don’t sound good, or you just wanna give it a whirl, go for the chickpea tacos. They’re not just for chicks. and whatever else you want, like yummy tomatillo salsa. oh, and the taco shells. 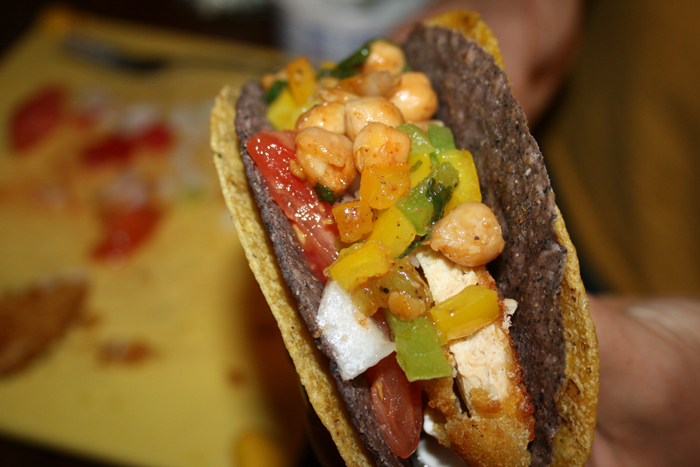 My boyfriend even had to show me up and create a Mixed Fish/Chickpea Taco Supreme – both soft and crunchy at the same time. Have a happy vegan taco night.